Lets face it, weddings are stressful and requires a lot of planning. Sometimes you have months or even years to plan and as you sit at home looking at Pinterest, Instagram, wedding wire, the knot...and so on. You see lots of wonderful images and you start dreaming. You'll start to think I need 25 foot white horse drawn carriage, 24 white doves to be release at the end of the ceremony, 10 dozens peonies out of season, custom light sabers at $600 each for the 4 grooms men or a wedding dress at $6500 and a reception dress at $3500 (all things we have seen at our weddings). The list of ideas for weddings are endless, however, after you ride the carriage or release the doves all that remains is what ever the photographer was able to capture of that moment. For some reason the first place couples want to cut their budget is the photography. Maybe my uncle can shoot the pictures for FREE because I really need those doves at $600 to circle my wedding party and those two dresses at $10,000. We've invited 350 guests to the church and reception but we only have $500 for photography and we need 8 hours of coverage. Let's face it there are a lot of photographers in Las Vegas. How in the world do you pick a photographer? 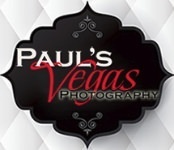 Here is our list of 5 things to consider when selecting a wedding photographer in Las Vegas. 1. Experience - Weddings are very difficult to capture and require years of experience to learn how to work with wedding couples, family members, wedding party, the venue, the other vendors. Knowing where you will need to stand to get the right shots or knowing when you need to move to the be in the right spot comes with experience. We've shot over 400 weddings and we still are perfecting our craft. You need to use a photographer who shoots weddings as their main source of income. 2. Personality and Style- You and your quests will be interacting with the photographer(s) during your wedding. What is the photographer personality like? Many photographers know how to take pictures but are horrible with interacting with people. In Las Vegas we get a lot of destination weddings and we don't always get a chance to meet the couples a head of time. However, call the photographers you are considering and see who is a good fit. Speak to us on the phone we want to hear from you. Also, remember you will have people of all age groups at your wedding and maybe the cutie photographer who just graduated high school seems like a nice person, however may not be respected by your older family members. As far as, as style check out there website and most likely that is what the photos the photographer will deliver to you will look like. If you like faded pastel colors don't select a photographer who delivers vibrant colors. This includes poses and camera angles. 3 Reviews - Getting to know your photographer from other couples who took the time to write about them is a good starting point. How many online reviews does a photographer have? What do people say? Are they 5 stars and nothing more or were the couples impressed enough with the work to take time to actually write something. Also, check out place likes Google, BBB, Yelp besides wedding sites like weddingwire. 4 The Right Stuff - Ask the photographers do you have insurance, business license and the camera model(s) then look them up online? This is my catch all for professional equipment, business licenses, liability insurance. Many venues require insurance and business licenses and you won't want to scramble to meet the venues requirements when your photographer doesn't have these items. We once were hired to video a wedding and the photographer (who was cheaper than us) showed up a consumer camera and no additional flash. We have ten of thousands of dollars of equipment and annual service contracts with the manufacture for the equipment. This wedding the discount photographer was to shoot was timed to end at sunset however the bride was late. So now it is too dark for her camera to capture quality images and she was having trouble focusing because to the lack of light. She wanted to borrow equipment from us to do her job however we could only spare a few items and we didn't have out still photography equipment. Needless to say the bride was disappointed the the photography but loved our video. 5. Budget - This is one of the difficult areas because you can find photographers who will work for very little to ones who charge $500 per hour and you receive nothing and have to buy all of your images. What is the difference? There are a lot of factors which go into pricing. Experience, personality, reviews, equipment, awards, the market place and ego are all factors. If you are receiving digital images are they color and exposure corrected? If you don't ask, you might have to have someone correct the images before you can print them (which costs money) If you want an album what kind of album are you expecting? Albums can be something you pick up at Walmart and slide 4 x 6 prints into or custom designed archival quality works of art that will last generations. You should discuss with your photographer what options they offer and what are those costs.